Arthur Cox is funding scholarships which will enable up to 40 students per year access to an education in University College Cork School of Law. The scholarships will be awarded to students through the UCC PLUS+ Programme, which aims to increase the accessibility of third level education to under-represented and economically disadvantaged communities. The generous philanthropic gift was announced in the Aula Maxima on March 27, where an audience of UCC staff, students, and representatives from Arthur Cox gathered to celebrate its launch. Speakers included UCC President, Professor Patrick O’Shea; Professor Ursula Kilkelly, Dean of the School of Law, Olive Byrne, Head of Access and Participation, representatives from Arthur Cox, and a student representative. Speaking before the event, Professor Kilkelly said: “I would like to thank Arthur Cox for their generous support which will benefit current and future students of our School of Law. We have worked closely with Arthur Cox for many years and this next step in our partnership highlights their commitment to education and the development of future talent in the field of law”. In addition to this donation, Arthur Cox has committed to providing a pilot mentorship programme for students studying in the School of Law. The programme aims to nurture talented students and offer guidance and support from staff at Arthur Cox. The firm will also host an annual careers evening at UCC which will be open to students from all academic backgrounds to highlight the diverse range of career options within the legal sector. 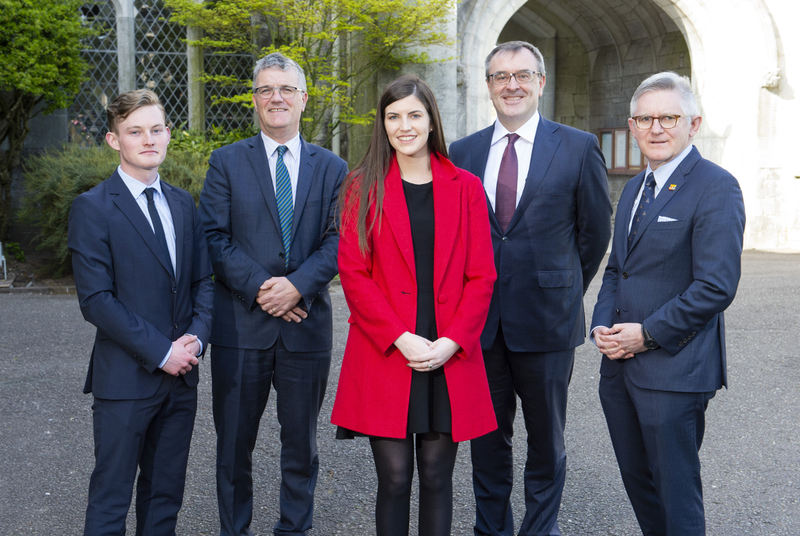 Ailish Finnerty, partner at Arthur Cox said: “We are delighted to announce this partnership with UCC which will assist traditionally under-represented students to study Law at the university. We are also excited to work with the School of Law to prepare the next generation of legal professionals for a career in the sector”.